40 minutes. 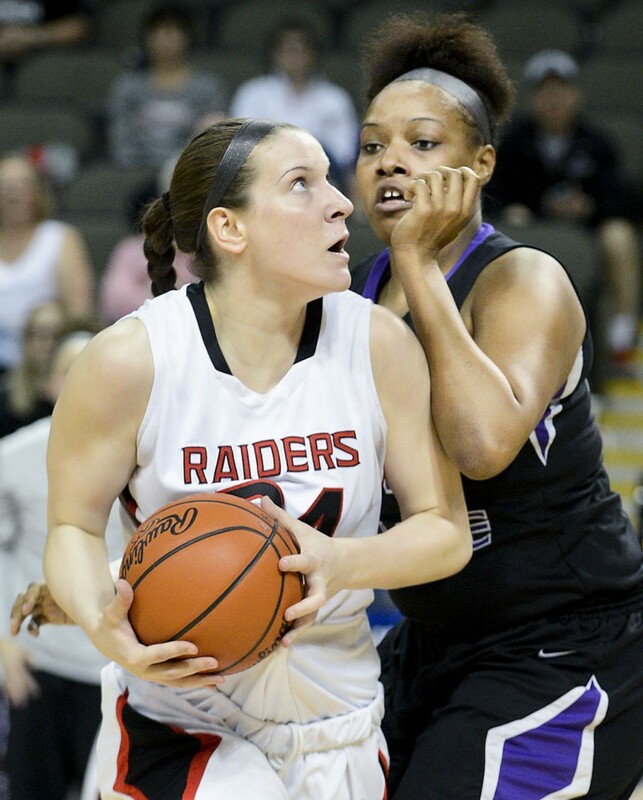 Barring overtime, that’s all that remains for the Southern Oregon women’s basketball season. 40 minutes to determine who will be crowned NAIA Division II champions and who will be second place. With Monday evening’s 84-69 victory in Sioux City, Iowa over Goshen College, the SOU women advanced to their first national title game in program history. To complete the task and capture their inaugural title, SOU (33-1) must take down cross-sport rival Marian College (Tuesday 5pm streaming live on ESPN3). SOU football has faced off with Marian in the past two national title games. 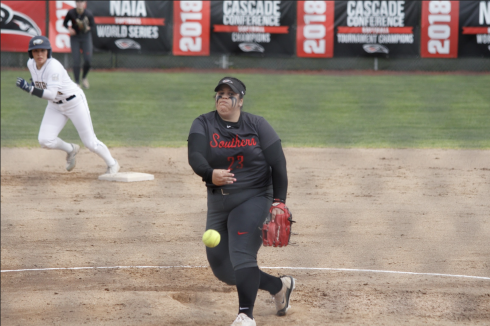 With Cascade Conference Player of the Year Ashley Claussen out with a knee injury, Southern Oregon needed either a complete team effort, or a player off the bench to step up. Instead, they got both. In all, five players scored at least nine points, guided by CCC Freshman of the Year, Courtney Setzer – with 17 points on 8-10 shooting off the bench. As has been their blueprint all postseason, the Raiders got out to an early lead due to seven first quarter Goshen turnovers. Adversity came early when All-CCC post Carly Meister picked up two quick fouls, but that was when Setzer decided to step up. She ended up with 13 points in the first half, on 6-6 shooting. It was a team effort, as four scored in double figures. In addition to Setzer, Autumn Durand scored 16 points with 6 rebounds, Tiani Bradford had 11 points and 6 rebounds, and Carly Meister had 10 points and 8 rebounds. Demi Sahlinger also had 7 points and 4 assists. 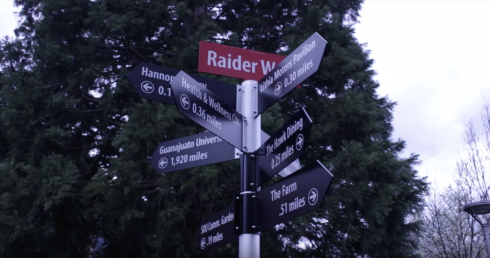 The Maple Leafs didn’t let SOU run away with the game until the final minutes – but once the Raiders led 7-6, they never lost the lead. Back-to-back threes five minutes in by Majerle Reeves capped off an 10-0 run to give them a 15-6 lead. Reeves finished with 9 points. After trailing 49-34 at the beginning of the second half, Goshen fought back to within six, but SOU went on a 10-2 run to extend the lead to 14 and put the Maple Leafs away for good.